Cherry blossoms are blooming everywhere, Happiness is dancing in the heart, When there are beautiful times in life, Life blooms only now. 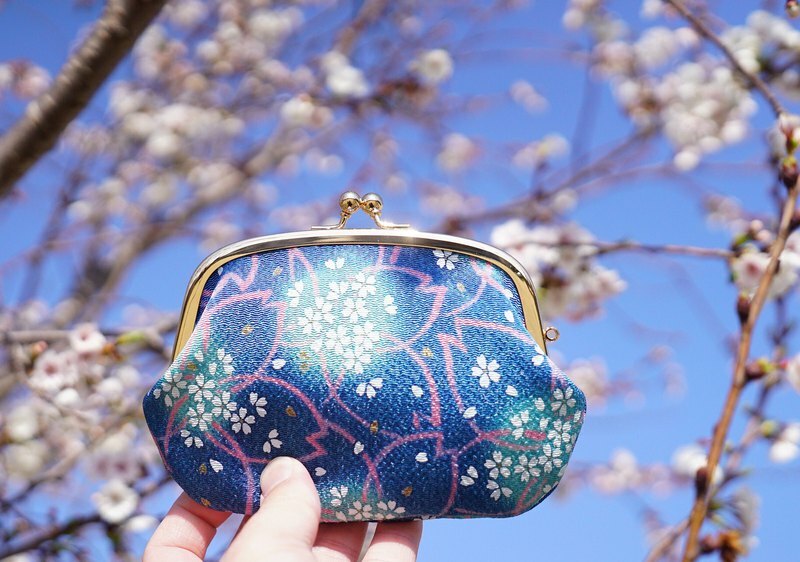 The smell of spring, Under the sakura’s companionship, Add more intoxicating dreams. "Spring is a bad boy's gold bag." Collect the full happy petals! Size: width 15 height 12 cm (including mouth gold) Material: Japan shrinks cloth ■ Shopping Guide ■ Please read the following instructions carefully before purchase to make an order (especially the perfect suitor): We do not accept the following exchange or return as a reason: 1. Color difference: The photos of this design hall are taken in kind. The color of the photos can be different due to different scenes or different browsing devices. It is normal to never accept the color difference. The customer can describe the product as a reference, message, call or Facebook message query. 2. The buyer does not like it. The texture, workmanship, and layout are not good. It is different from the imagination after purchase.